The first strike wasn’t in a factory or an office. It wasn’t even on land. US historian Marcus Rediker explains how sailors in England fought against a wage cut in 1768. “They went from ship to ship and took down the sails. That’s called striking the sails. Out of that collective action the term strike was born,” he told Socialist Worker. The accumulation of wealth that built the modern, capitalist world started with trading ships and slave ships that kickstarted a global economy. In his new book Marcus writes about the people aboard them who fought back—including some surprising truths about pirates. “The ship and the sea are dynamic places of struggle,” he says. “These people were on the cutting edge of developments between capital and labour in the 17th and 18th centuries. “These ships were a precursor of the factory. The ship itself was the most important machine of its day. One of the primary experiences of people who worked on ships was collective cooperation. This was a place where waged workers were assembled in a complex division of labour. When groups of sailors were called “motley crews” it referred to their unruliness, but also their ethnic diversity. The life of a pirate was dangerous, but in many ways less brutal than that of an ordinary sailor. They got better food, worked fewer hours and didn’t face naval punishments. Marcus added, “One of the things about my research that continually delights people is to find out about how democratically pirates lived. There is history from below of democracy that has many sources other than the philosophers of the enlightenment. “Pirates actually ran their ships in a completely different way. Captains on merchant or naval ships were tyrannical figures with the power to whip people to death. This difference was reflected in pay. Merchant captains made between ten and 100 times as much as the common sailor. Pirates worked not for wages but a share of the loot. Skilled gunners and carpenters might get slightly more than one share, and the captain one and a half or two shares. “He had extra skill as he knew navigation, but the whole plan was premised on a kind of equality that you couldn’t find anywhere else in the maritime world,” said Marcus. “A few years ago when piracy off the Somali coast was at a peak I got calls from journalists all the time. I sensed most of them wanted me to say that these people are nothing like pirates of the golden age. Sailors and people in the ports were united in hatred of the “press gang” that kidnapped men and forced them to become sailors. Many of the early acts of rebellion against the crown in the American colonies involved resisting the press gang. One contemporary observer dismissed these proto-revolutionaries as “a rabble of boys, sailors and negroes”. Marcus is fascinated that these groups who had so much to gain from the revolution were largely excluded from its rewards. “In any revolutionary situation there are always people who want to go further,” he said. “Often there are retrenchments where those who had originally made the revolution are excluded. In the American revolution slaves and urban protests involving mixed racial crowds created the momentum and some of the ideas of the revolution. “But around 1773-74 the elites like George Washington and Thomas Jefferson got control and started to define notions of citizenship that would exclude the motley crew. Citizenship then was based to a large extent on property rights, with all the links that has to race, class and gender. Some of the grimmest reading is about rebellions on the slave ships that took Africans across the Atlantic. At best the slaves rose up and killed the crew. “The 300 people imprisoned on a typical slave ship came from 15 or 20 ethnic, national groups,” Marcus argued. “And some of these groups will have been at war with each other. So the ability to coordinate some kind of uprising is a stunning achievement. Marcus returns to the story of the Amistad rebellion in 1839, when African slaves took over a slave ship and killed those who had imprisoned them. They were captured and tried in Connecticut, where they became local heroes—regarded by the people as “black pirates”. This led to people thinking of them in a more positive light than the fear that usually accompanied slave rebellions. Because of this support they won their freedom in a surprising high court ruling in 1841. What we know of seafarers’ lives comes from their journals and yarns. Sailors told stories that were collective, and full of practical knowledge about jobs, survival and rebellion. Through 35 years studying the archives, Marcus has looked for individual life stories that embody larger historical processes. Barlow hated the well-off, from the ship’s purser up. The purser was responsible for getting supplies, and “never buyeth that which his majesty alloweth, but always buyeth the worst and putteth the rest of the money in his own pocket”. The journal of Henry Pitman was one of the inspirations for Daniel Defoe’s novel Robinson Crusoe. But while Crusoe went to the tropics on a slaving voyage, Pitman was sent to the Caribbean as a slave. This was punishment for taking part in the West Country Rebellion against James ll in 1685. And while Crusoe became the archetypal self-made man, all Pitman’s adventures occurred as part of a collective group. Gender is a central issue, which is not overtly discussed in this book. Marcus said, “The shipboard population is masculine and that is central to identity. For a captain de-masculinising a sailor and humiliation could be an important part of punishment. “The single greatest challenge is finding evidence about working class women. 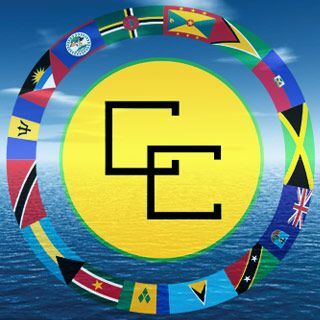 They were crucial to the functioning of the port cities from London to Barbados, but there is not have much documentation about them. 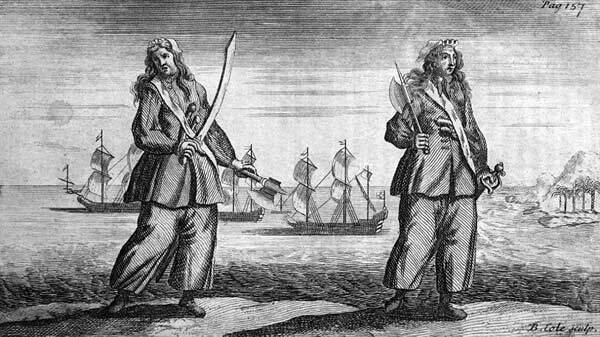 “There were female pirates like Anne Bonny and Mary Reade. They caused a tremendous stir in the world in the 1720s.